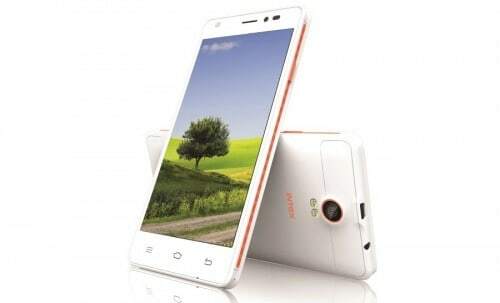 Intex unveiled another budget smartphone, Cloud M5 II exclusively on Flipkart at Rs. 4,799. The smartphone features a 5-inch FWVGA TN display and runs on Android 4.4.2 Kitkat. The Dual-SIM smartphone is powered by a 1.2 GHz Quad Core Processor and has an inbuilt memory of 8 GB, which is further expandable up to 32 GB. The device comes with a 5 MP rear camera with flash and a 1.3 MP front camera also with flash that supports clicking selfies, taking panorama shots and continuous shots by using the volume button. Additionally, the device has a light sensor that adjusts the screen brightness by detecting the light intensity of the environment. The product has a bunch of pre-loaded apps like Service, Clean Master, Ask Me, OLX etc.Intex Cloud M5 II will be available in the colour variants of – White+Orange and Black+Blue.